Purchasing your first team jersey is a rite of passage for every baseball fan. It's also an investment, so you should choose one that's high quality from a trusted brand. 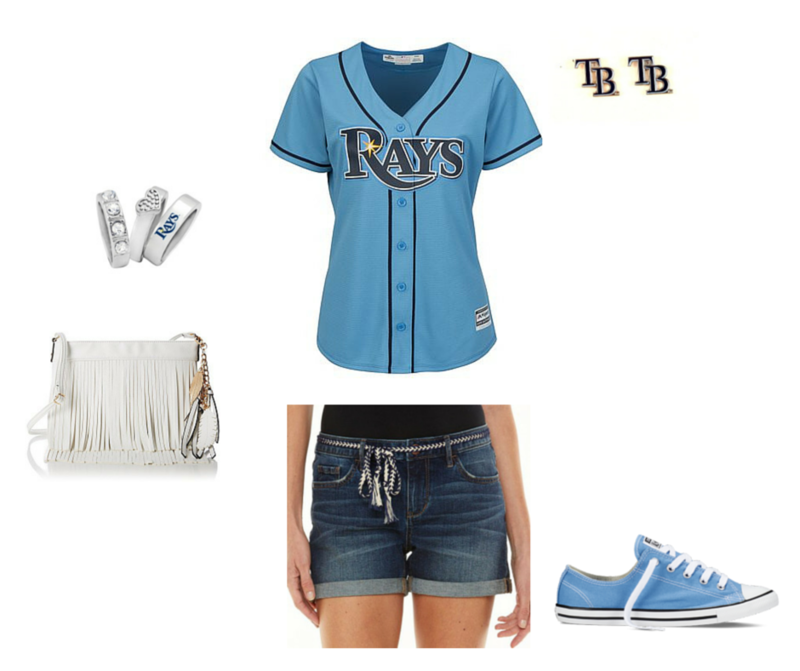 I recently received a complimentary women's jersey (Go Rays!) from Majestic and was incredibly impressed. It's made of a Cool Base material that's light and breathable, perfect for hot, summer days at the ballpark. The detailing is impeccable and most importantly, the jersey is cut to flatter a woman's shape. In my opinion, that's a fashion home run. Once you get your baseball jersey, the next question is how to wear it. Can you create an outfit around it that looks stylish and put together without looking out of place? 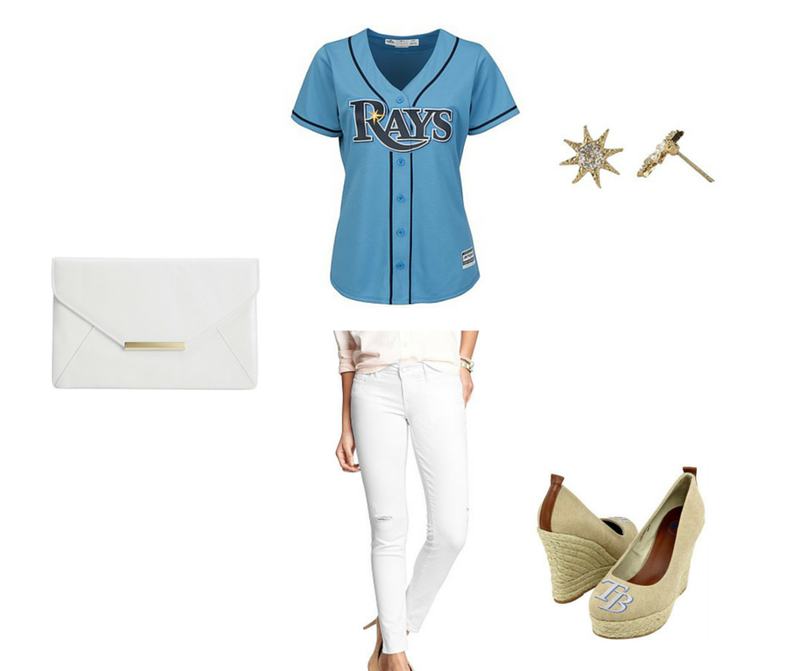 Is it possible to dress it up if you're going out to watch the game? The answers are YES and ABSOLUTELY! Having trouble visualizing how? Let's challenge ourselves to rethink the baseball jersey! Here's how TSR would wear it, dressed up and dressed down. Are you shopping for a baseball jersey? If so, you're in luck because Majestic is running a giveaway to celebrate the launch of its new Cool Base jerseys. Hurry up and enter here by April 30! Men's and women's styles available. Which look do you prefer, baseball jersey dressed up or dressed down? *The Style Ref received a complimentary women's jersey from Majestic. All opinions regarding this product are my own. Love the second look with the white jeans!! !